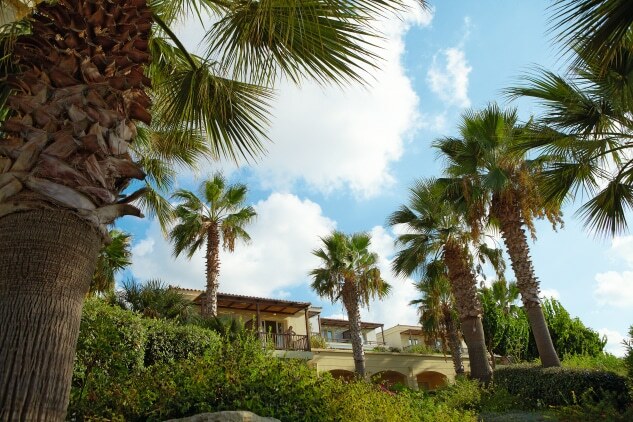 The ultimate Cretan experience! 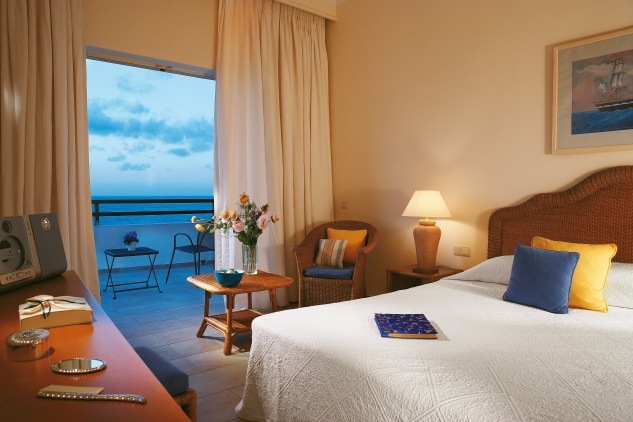 Grecotel Club Marine Palace & Suites combines the best of Greek hospitality and services with traditional Cretan life. 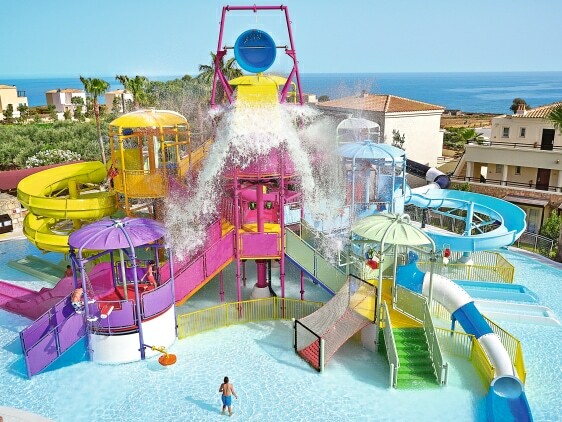 This “all-inclusive” resort is designed especially for family holidays offers a variety of entertainment throughout the day, including the New amazing Aqua Park, a frenzy of 6.000 m2 of excitement, the best underwater diving in Crete and plenty of evening programmes for children and adults. 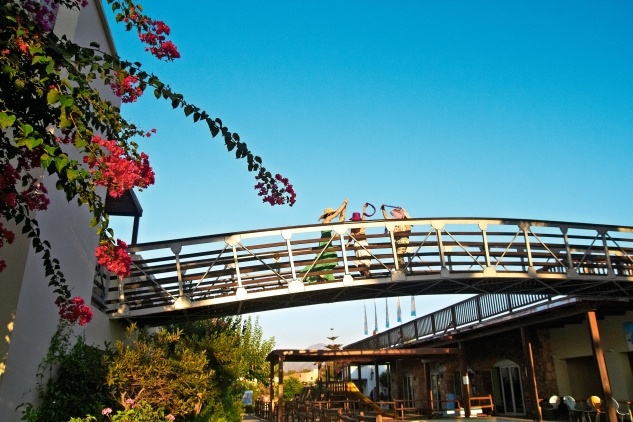 Panormo is a traditional coastal village that has been developed into a pretty holiday resort, 25km east of Rethymno. The streets leading away from the harbour are full of local tavernas, bars and “ouzeris”. 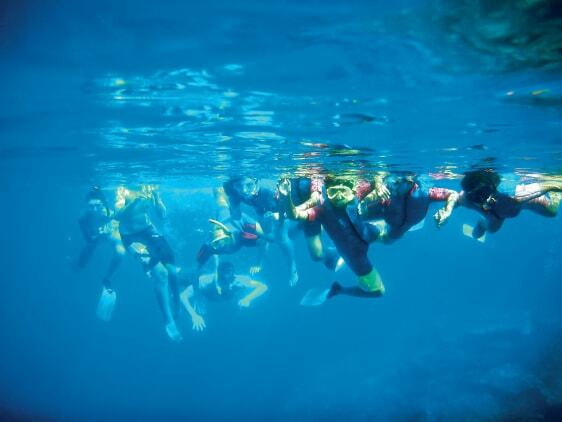 Panormo is an ideal starting point for excursions to all over the island. 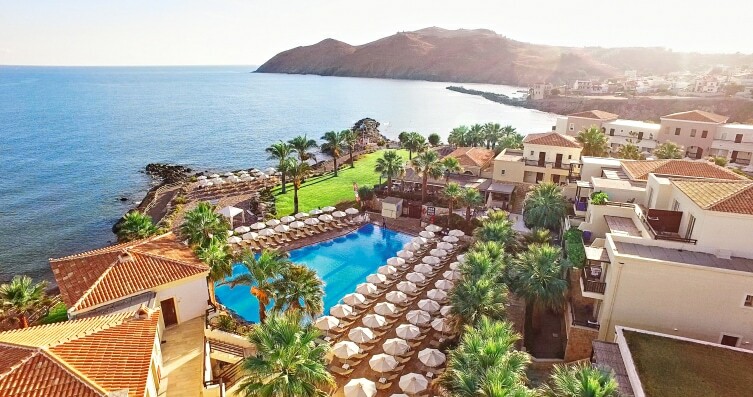 The hotel lies in a sandy bay with 2 creeks. 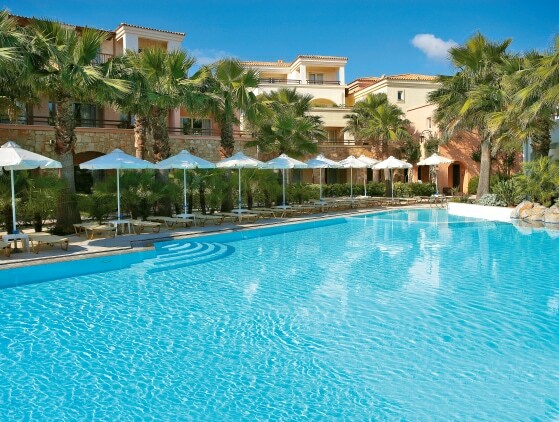 Changing cabins and showers, sunbeds and umbrellas (free of charge). Beach awarded with the European Blue Flag. Beach towels available. 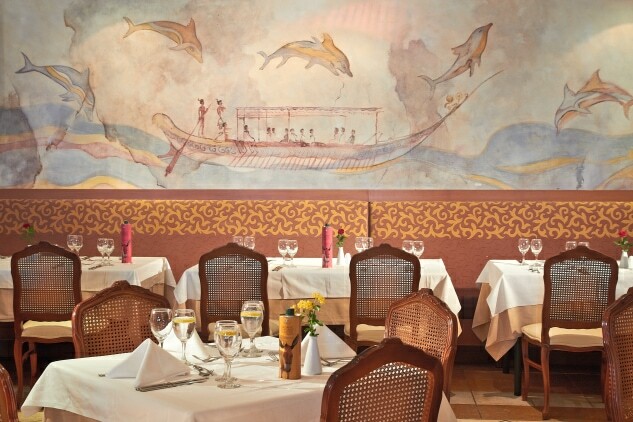 CLUB MARINE PALACE RESTAURANT: International restaurant with Cretan overtones, impressive décor featuring Minoan murals from ancient Knossos and amazing themed buffets every evening. BAMBOO NERO: The Resort’s Asian-inspired eatery to enjoy the delicious flavors of the Far East in the al fresco dining area or around the impressive black rotundas indoors. 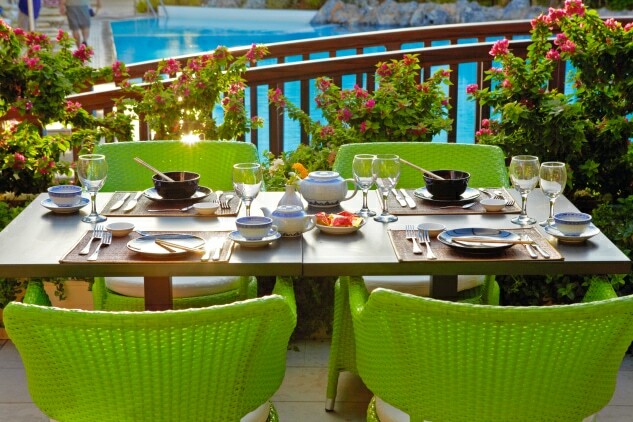 RIVIERA DEL CASTELO MYLOPOTAMO: A poolside restaurant serving up a mouthwatering selection of Mediterranean dishes. Open for lunch and dinner. DEEP BLUE: A unique Greek Taverna experience with a mouthwatering selection of traditional dishes. 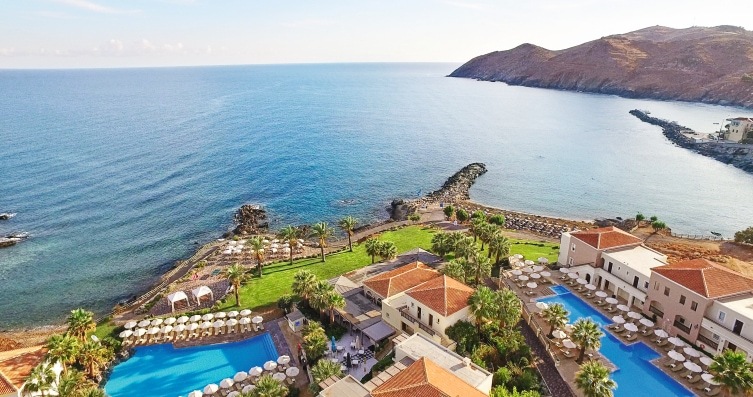 Spit-roasted lamb and pork for lunch and scrumptious delicacies for dinner in a way that only Greeks know how to complement your holiday culinary fantasy by the sea. BARBEQUE BY THE BEACH: Spend precious moments with family and friends at this amazing self-service barbeque by the beach and savour succulent meats freshly grilled to order! Refurbished double rooms or bungalows amongst beautiful gardens, furnished with bamboo furniture in a tasteful modern style. 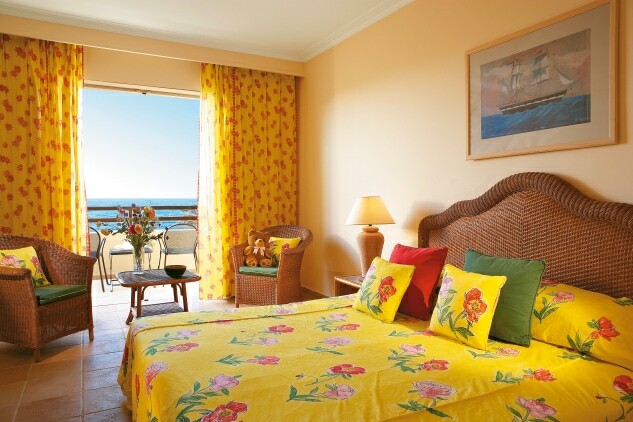 Comfortable rooms with warm colours promise to make your stay unforgettable. 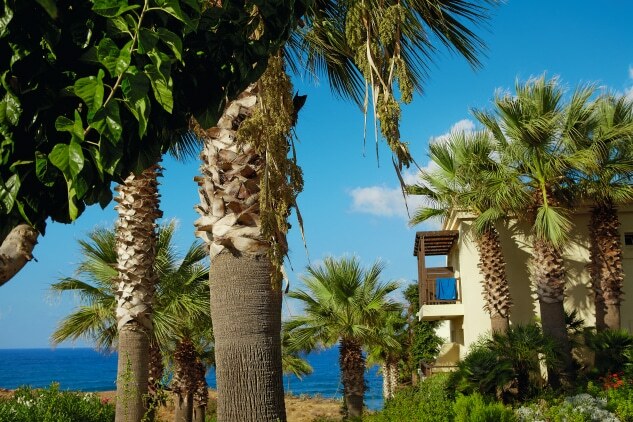 Candy coloured bungalows surrounded by lush Cretan gardens that blend harmoniously with the village-like hotel environment. 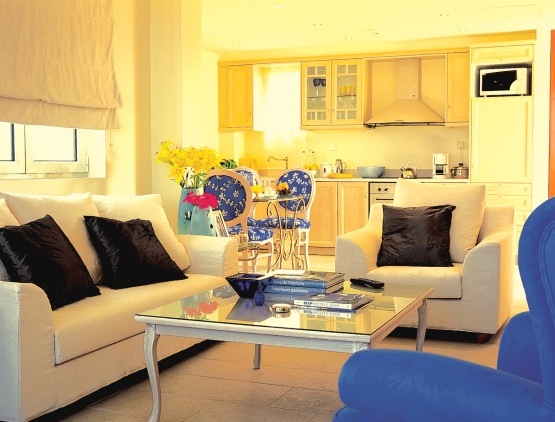 Designed with muted colours and bamboo furniture in a tasteful modern style. 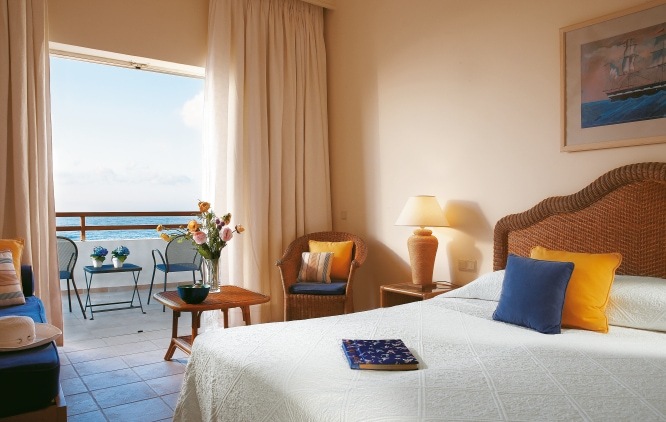 Floor to ceiling glass doors and airy balcony or landscaped terrace with amazing views to enhance your stay. In most rooms the sofa in the lounge area can sleep one child. En-suite private bathroom. 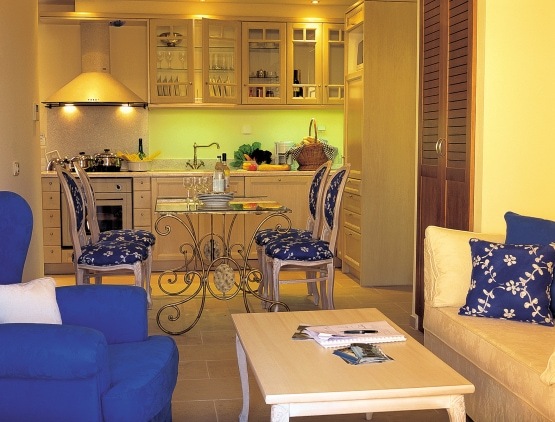 Spacious family accommodation in the main building features all the comforts of the resort. 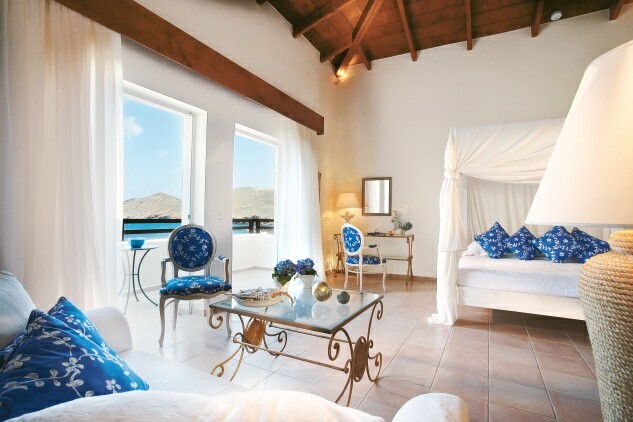 These four bed family guestrooms are cleverly designed with ample open plan living and sleeping areas. 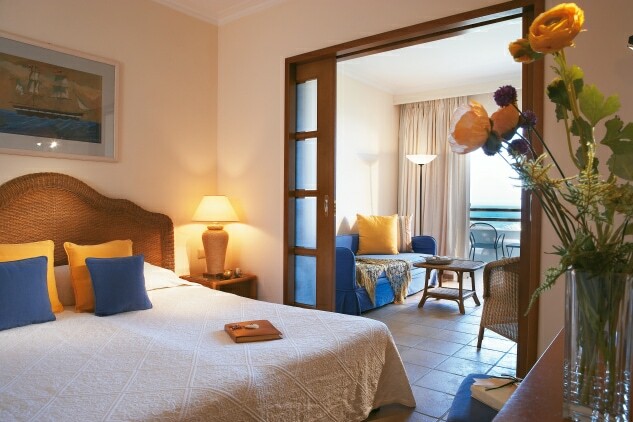 They feature a king size double bed and a cozy lounge area with two sofas, ideal to sleep two children. Floor-to-ceiling glass doors offer seamless transitions between indoors and outdoors summer living and beautiful views to the everlasting Cretan landscape and sea. Spacious accommodations featuring two bedrooms (separated by a sliding door), a lounge and bathroom. 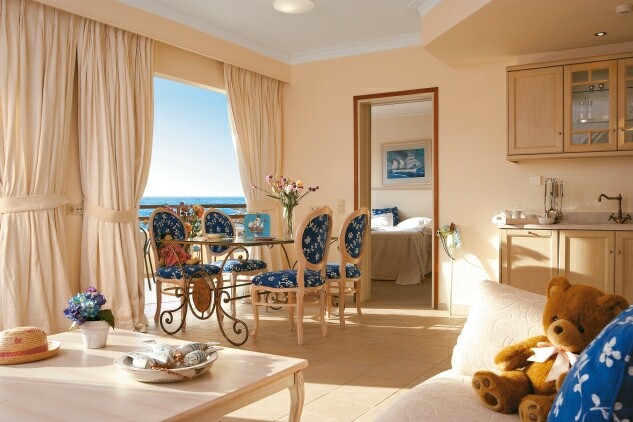 Decorated with new modern furniture in warm pastel colours and delicate fabrics. Maximum occupancy 2 adults and 2 children. 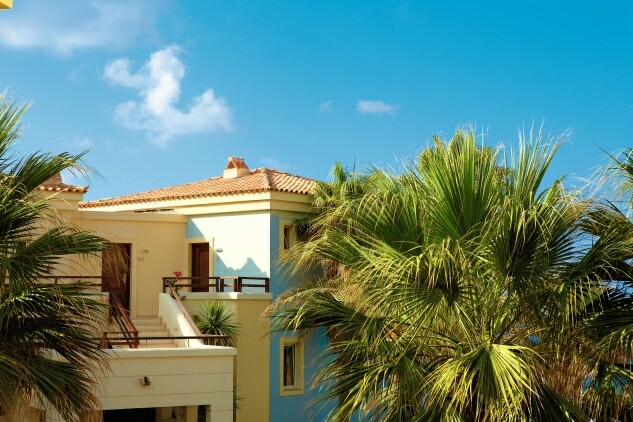 Family Bungalows with side sea view or garden view - Cool crisp colours echo the vibrant gardens. Master bedroom and separate children’s room. Maximum occupancy 2 adults and 2 children.